VISHAY Intertechnology is an American company founded in 1962 which manufactures a wide range of transistors, optocouplers, resistors, zener diodes and others. In the beginning it was operating with a patented technology of only two product lines: foil resistors and foil resistant strain gauges. Since 1985, VISHAY has adopted a business strategy, which mainly consisted of the following elements: expansion in the production of electronic components, mainly through the acquisition of other brands and manufacturers of electronic components; cost reduction; transfer of manufacturing operations to countries with lower labor costs and government-sponsored incentives; maintaining significant production facilities in regions where VISHAY traded most of their products; continuous innovation and new products; and strengthen relationships with customers and strategic partners. As a result of this strategy, VISHAY has grown from a small manufacturer of precision resistors and strain gauges resistant to one of the largest manufacturers and suppliers of a wide range of electronic components in the world. Today, VISHAY Intertechnology is one of the world's largest producers of premium quality passive electronic components, discrete semiconductors, rectifiers, diodes, thermistors, capacitors, inductors, optoelectronics and others. Some manufacturers who VISHAY has acquired over the years are: HiRel Systems (2012), Huntington Electric (2011), KEMET (2008), PCS business of International Rectifier (2007), BCcomponents and Beyschlag (2002), Tansitor (2001 laying), Cera-Mite, electro-Films, and Spectrol (2000), Siliconix and Telefunken (1998), Vitramon (1994), Roederstein (1993), Sprague (1992), Sfernice (1988), Draloric (1987) and Dale (1985) and others. VISHAY has clients in nearly every major market sector and components under the brand VISHAY are used every day in projects around the world for applications in the industrial, communications, transportation, medical and defense products. With production capacities in Israel, Europe, Asia, North and South America, a wide distribution network and over 20,000 full-time employees, the company is a leader in the manufacturing and distribution of electronic components. VIKIWAT Ltd. offers a variety of VISHAY thermistors, optocouplers, zener diodes, resistors, transistors and many other. In our stores, you can find in stock quantities, competitive prices and fast delivery. Phototransistor BPW17N, 100mW, 32V, 825nm Phototransistor BPW17N. Photodiode BPV10NF, 215mW, 60V, 940nm VISHAY BPV10NF IR-type PIN PIN with 940 nm wavelength, 40° viewing angle, 0.78 mm2 light-sensitive surface and 5 mm diameter diode. 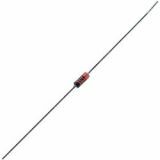 Photodiode BP104, 215mW, 60V, 950nm, 4.3x4.65x2mm VISHAY BP104 IR-Video PIN with wavelength 950 nm, viewing angle 130° and 7.5 mm2 light-sensitive surface. Phototransistor BPW85B, 100mW, 70V, 850nm Phototransistor for THT mounting, ф 3mm, with transperant lens. Phototransistor BPV11F, 150mW, 70V, 950nm PhotoTransistor for THT mounting, ф 5mm, black lens with IR filter. Tool for trimmer potentiometer, SPE-8 Screwdriver for trimmer potentiometer. 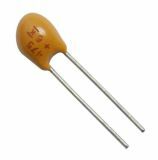 Resistor 970Ohm, 7W, 5% Resistor 970 Ohm, 7 W, 5 %, VISHAY. List Price: 0.50лв. VAT Incl. 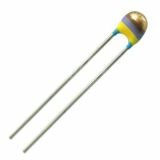 Resistor 4.7 Ohm, 3 W, 5% Resistor with resistance 4.7 Ohm and power 3 W.
Capacitor tantalum 0.1µF, 40VDC, 4.7x4.2x7.3mm, THT, 790D Capacitor tantalum model 790D104X(1)040A2(2), capacitance 0.1 μF and supply voltage 40 VDC. List Price 0.99лв. VAT Incl. 0.94лв. VAT Incl. 0.89лв. VAT Incl. 0.84лв. VAT Incl. List Price: 0.80лв. VAT Incl. 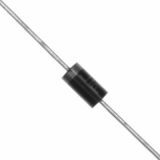 Capacitor tantalum 0.22µF, 35VDC,ϕ 3.7X7.0mm, THT, 489D Capacitor tantalum model 489D224X(*)035A, capacitance 0.22 μF and supply voltage 35 VDC. Thermistor, NTC, 3.3kOhm, 2.54mm Thermistor with resistance 3.3 kOhm at 25 °C model, type NTC. List Price 1.20лв. VAT Incl. 1.13лв. VAT Incl. 1.08лв. VAT Incl. 1.01лв. VAT Incl. Capacitor tantalum 0.33µF, 35VDC, ϕ 3.7X7.0mm, THT, 489D Capacitor tantalum model 489D334X(*)035A, capacitance 0.33 μF and supply voltage 35 VDC. Capacitor tantalum 0.68µF, 35VDC, ϕ4.0X7.5mm, THT, 489D Capacitor tantalum model 489D684X(*)035B, capacitance 0.68 μF and supply voltage 35 VDC. 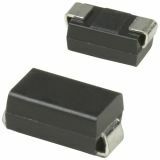 Schottky Rectifier Diode BAT85S-TAP, 30 V,200mA Diode Schottky with peak reverse voltage 30 V and forward continuous current 200 mA. List Price 0.20лв. VAT Incl. 0.18лв. VAT Incl. 0.17лв. VAT Incl. 0.16лв. VAT Incl. 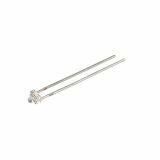 Thermistor, NTC, 220 kOhm, 2.54 mm Thermistor, NTC,with resistance 220 kOhm( 25°C). List Price 1.20лв. VAT Incl. 1.14лв. VAT Incl. 1.07лв. VAT Incl. 1.01лв. VAT Incl. 0.95лв. VAT Incl.